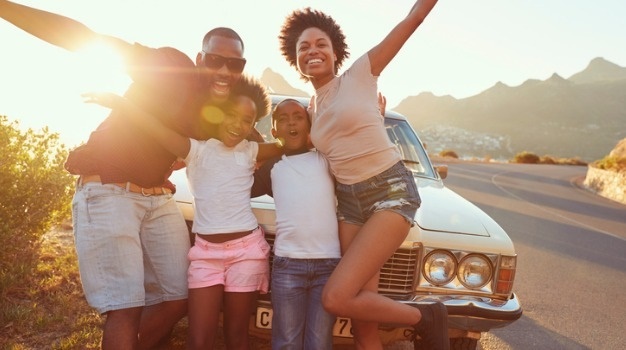 Changes have officially been made to South Africa's rules for child travellers, however being "strongly advised to carry the supporting documents" still remains a contentious phrase for travelling parents. The Department of Home Affairs (DHA) confirmed the revised conditions are now in effect as of 1 December 2018, ahead of the festive season when many parents and families will be going on holiday with children. The DHA says Travel requirements for children have been changed in the Government Gazette titled “Draft First Amendment of the Immigration Regulations, 2014 made under the Immigration Act” in accordance with the some of the Cabinet approved reforms to the visa regime and are in line with economic recovery plan and stimulus announced by President Cyril Ramaphosa in September 2018. "From the beginning of December 2018, certain categories of child travellers will be exempt from presenting supporting documents at ports of entry. However, travellers are urged to carry these documents because they may be requested in certain instances." While the confusion remains around this, the department says it is confident that the immigration officials who are set to implement these changes, have been trained to know when to request these supporting documents. According to South African Tourism Minister Derek Hanekom, the training will be essential, as is the need to have checks and balances in place at SA's key points of entry. Speaking to Traveller24 at the recent World Travel and Tourism Council's inauguration Africa Leaders forum on 23 November Hanekom stated, "If the immigration official is not satisfied with the documentation presented, it does not mean returning on the first flight home...the traveller will be given adequate opportunity to obtain the documentation without just being shipped out." The amendments are outlined as below. Children who are foreign nationals from countries where visas are required will no longer have to carry supporting documents. This is because they would have been required to provide these during the visa application process. Children who are foreign nationals from countries where visas are not required may be asked to produce supporting documents upon entry. Even though producing supporting documents is no longer compulsory, travellers are strongly advised to carry the supporting documents. In the case of countries that endorse the particulars of parents in children’s passports, or other official identification documents, these documents shall be sufficient to establish the identity of the parents of the travelling minor. South African children travelling abroad may be requested to produce supporting documents at ports of entry. Children with passports detailing parents’ names will not be required to carry birth certificates when travelling. In addition, a parental affidavit may be required. These requirements are meant to give effect to the Children’s Act, 2005 which stipulates that minors travelling in or out of the country must do so with the consent of both parents.